For those who backed our original Kickstarter, this post will update with details of ordering and fulfilment, and provide a means of directing questions about what we’re doing with your money and when you can expect your stuff. Funds were deposited from Kickstarter into our bank account. Orders for cards and stickers placed. Estimated delivery time to us given as October 8th, although I have paid for express shipping so I hope they can shave a little off that. I’d like there to be photos of the real thing in the example images on the rules sheet. Then I found another box supplier online, did a webchat via their site and placed an order with them too. Delivery is scheduled for October 12th, two days after the official launch, which is less than ideal but as much as I could hope for. I have now received e-mails from both card and box suppliers telling me packages are en route. Cards from China, boxes from Pakistan. This international sourcing effort was never intended but I’m happy if the product is good quality at an acceptable price and I’m hopeful the DHL and FedEx teams manage to get them here in one piece. There is a possibility I shall have them all tomorrow! 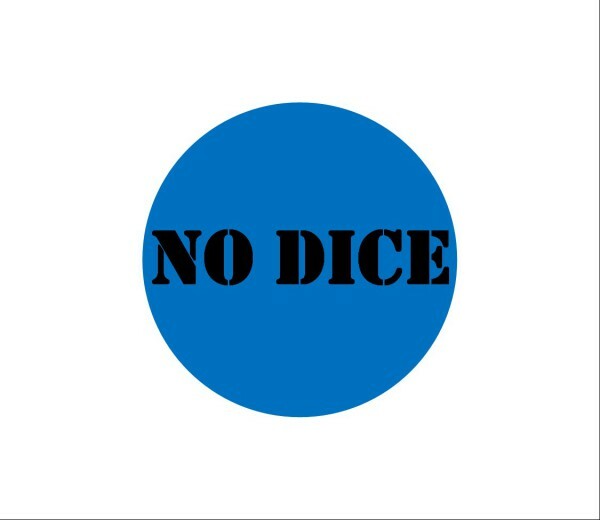 Now we have 100 decks of No Dice cards, we can take the pictures for the rules, get them printed tomorrow and be ready for launch on Saturday. If only we had the boxes… watch this space! Launch day! Thanks to everyone who came down and took part. Thanks especially to Vince at Asgard for letting us use his shop as a venue. 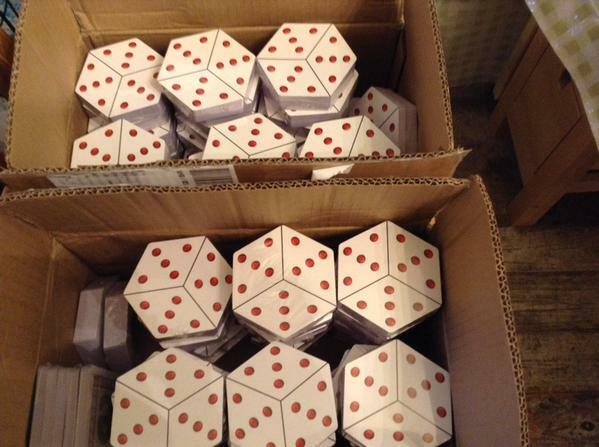 We’ve been out and delivered a huge load of No Dice decks to local backers, partly because we have a packaging issue. The long and short is that my first choice box manufacturer didn’t have the capacity to deliver in the timescale I needed so I paid slightly more for a faster box. I’m happy with the decision although these boxes aren’t quite as solid as my first choice. As a consequence, I feel uncomfortable simply sticking them in the post and hoping for the best. I’ll be working on an engineered low cost (because I already paid out more for this box) solution in the next week or so to ensure the games arrive in good condition. Please bear with me! We shipped the first UK and Europe parcels and the USA post will go this weekend. Thanks very much for waiting patiently. T-shirts are on their way and we’re close to fulfilling everything. Hurrah! First satisfied customer by post. Brilliant Royal Mail dong their thing there and delivering quickly. I hope all the rest arrive just as smoothly.